Alvin is the head of our Private Client Department and became a Partner in 2017. He acts for both individuals and families, specialising in assisting elderly, vulnerable and disabled clients. Alvin’s areas of expertise include probate, taxation issues concerning the administration of estates, wills, lasting powers of attorney, trusts, and elderly client related issues involving Court of Protection applications. 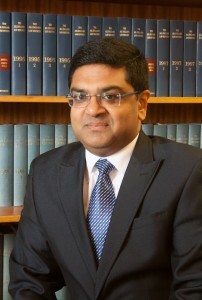 He is a member of Solicitors for the Elderly, a national organisation dedicated to providing support to elderly clients. Alvin believes in giving clients a personal and supportive service.